Bitter Sweet Love based on Seo InGook's song "Baby U"
The wedding gown silhouette is the most important aspect of a wedding gown. Because there are many different silhouettes available, and different silhouettes suit different figures. This section focuses on the five basic wedding dress styles: A-line/Princess, Empire, Mermaid/Fishtail, Ball Gown, and Column. The purpose of outlining each of these silhouettes is to provide you with the necessary information you need to find the dress that is best suited for you. Each of these sections details the different necklines, sleeve lengths, dress lengths, and fabric choices that are best suited for each style. By walking into a bridal store with a clear idea of what you want, you will be saving yourself (and the salon clerk) a lot of headache. However, there is not a golden rule in wedding dress designs, and you owe it to yourself, and your future husband, to be adventurous when tying on gowns. You will never know what you look like in certain styles if you never try them on. Who knows, the style that you may think would look the worst on your body type might just be the one you end up choosing. Let’s take a look at A-line/ Princess wedding dresses first. The A-line wedding dress features a shape that is fitted around the bodice and flows out to the ground, resembling the outline of an uppercase A. The dress flows fluidly from the bust to the hem with an unbroken line. Due to its classic and simple style, the A-line dress is appropriate for any occasion, from a quiet backyard gathering, to a traditional church ceremony. Options: The A-line is a versatile shape since it can accommodate many different structural elements, including horizontal seems that help define your waistline, or a separate bodice and skirt that feature contrasting fabrics. The look of the A-line dress is also dependent upon length, which can range from above the knee for a fun and flirty bride, to a full-length dress that flows into a chapel-length train for the more traditional bride. The princess cut is the most dramatic variation of the A-line dress. This style emphasizes the clean lines of the A-line by utilizing vertical panels that run from the neckline to the hem. The princess style provides elongating lines that create a slimming effect since your eye focuses on the length created by these long, smooth seems. The A-line style can support many different fabric choices, depending on the look you want. If you desire a simple look, free flowing silks like charmeuse are the best option because they allow the dress to hang naturally and create a soft feminine silhouette. If you want a more structured appearance that emphasizes the continuity of the A-line style, you will want a heavier fabric that can maintain shape, such as peau de soie silk or satin. This same effect can also be achieved with the use of organza, or other supporting fabrics, that can be layered to create a full skirt. You can also affect the look of the A-line dress depending upon the added embellishments you choose. Lace overlays or bead work can make a simple A-line dress appear more formal, while a touch of color provided by a ribbon or bow can make a stylish statement. The A-line wedding dress is flattering on almost all body types. The long lines of the princess cut dress can create the illusion of height on a shorter body, as well as slim down a rounded figure. The full skirt of the A-line can also hide a larger lower body, or create the illusion of curves on a narrow frame. Since the A-line dress is so versatile, simple modifications to the neckline, waistline, or fabric can accentuate your best features and hide those your not so fond of. You don't have to leave residence to make a sports activities wager. All you want to do is to just indicator-in to on-line gambling websites. Examine on to find out a lot more. Since there are so a lot of gambling websites in the internet, look for a dependable web site to put your sports wager on. Uncover a web site that normally requires great care of your dollars. A great on the web gambling web sites will constantly publish its get hold of numbers or e mail tackle so that gamers can ask issues about betting rules and laws. It is also a massive plus if the internet site supplies a tutorial for novice players who are nonetheless understanding how to make a sports activities wager. All the accountable gamblers have self-handle. When they are profitable, they do not push their luck. When they are dropping, they wager less. Most websites will let you to make a sports wager for totally free so that you can knowledge the thrill of on the net gambling without having acquiring to shed your dollars. But these no cost bets are restricted. Some web-sites will give its players up to oe100 really worth of totally free bets. Betting on sports activities is a wonderful art. A clear knowledge of the betting guidelines of every single sport is extremely vital. If you do not know these rules, you may possibly danger dropping your income. A fantastic on the net gambling internet site will generally dedicate a web page for you to go through the betting guidelines and laws for every single game that you can wager on. The most prosperous gamblers will generally monitor group and participant statistics to manual them in their bets. You should do the same. To be a better gambler, strive to be scientific and methodological with your bets. Handicap horses if you are into horse racing. Understand the influence of the household crowd as a 6th guy in a basketball sport. Make it a habit to anchor your bets on info and figures as opposed to hunches, gut feelings, and superstitions. A gambler can constantly advantage from expertise, exploration, and excellent dollars management abilities. The ideal gamblers will generally check the waters prior to diving in. They will back their bets with previous info to boost their odds of profitable. And they will call it a day when they are dropping far more than they are supposed to. Following these ideas will indicate far more income and numerous hrs of on the net gambling enjoyable! 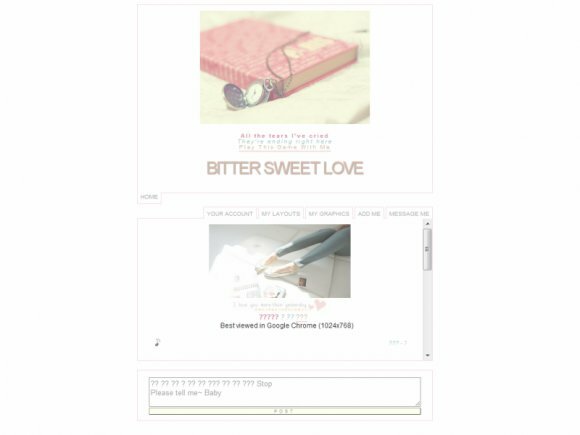 I can't use this layout for Blogger.